WIM Mongolia has developed an Action Plan to improve diverse and inclusive decision-making practices within the mining sector in Mongolia. The industry itself is developing in Mongolia and without women's understanding and education, this sector will face many challenges in matters such as getting social license from local communities. 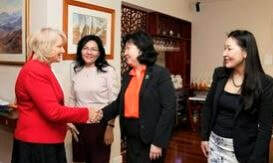 Currently, in Mongolia, we have one of the highest rates of women working professionally in the world. Without developing proper support from this group, the mining industry in Mongolia will face serious challenges and negative consequences in the future. Actions are needed now in order to improve diversity amongst decision-making roles as well as inclusive practices within the industry. Our Vision: WIM Mongolia aims to improve diverse and inclusive decision-making practices within the mining sector in Mongolia. 3.Coaching & mentoring to develop leadership and accountability skills. 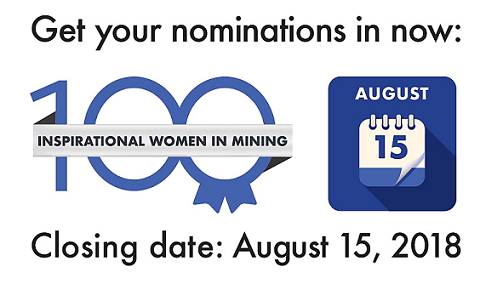 Develop an award: the Best Mining Companies to Work for Women in Mongolia based on the best practices to Attract, Hire, Retain, and Advance Women!